RCSA is excited to announce an all new event for 2019 tailored for the Emerging Leader, Managing Consultant or Existing Leader who wants a fresh perspective on leadership. Leadership in a brave new world of work requires a fresh approach, and this forum packed with cutting edge insights will develop, inspire, and empower our leaders of tomorrow. Collaborate with other emerging and aspiring leaders and gain a new outlook on leadership at this fresh new forum in Auckland this May. In this revealing and incredibly personal presentation: hear why trust is the critical component to team success, find out how to get to know what you don’t know, and why patience, making mistakes and failing actually sets you on a fast track to success. Are leaders born or made? Do I need a title to be a leader? Aren't management and leadership the same thing? Am I a good leader? WHAT IS LEADERSHIP? In this interactive session, we will dive into the core meaning of leadership, what it looks like in a modern workplace and how we can support its growth. Phil will share some stories, insight, and learnings from a career and life surrounded by good, bad and interesting leaders to motivate thought and conversation. Three leading voices within our industry share their thoughts on the big issues that you, our attendees, really want to hear about. Whether it’s providing insights on the best way to navigate today’s market or handling difficult conversations, sharing their views on the impact of AI, fee structures, talent acquisition challenges or telling us what keeps them up at night, this will be a fast-paced and lively discussion – that’s for sure. Got a burning question? Ask our panel. This high impact, immersive session will help the group generate ideas for solving common problems together. It’s time to do away with us-versus-them mentalities and approach our industry’s burning platforms with a shared mindset. During a 2-hour activity, participants will experience how sharing information and collaborating on solutions can lead to better outcomes for everyone… while avoiding carrying around a “Stinky Fish”. Join this session to learn more! We bring HR, Talent, OD and L&D Practitioners together to test ideas and prototype solutions for some of the biggest organisational challenges. Our mission is to create collaborative learning experiences that drive people practitioners to courageously challenge their organisations. She's joked with the Queen, flown with NASA, had lunch with Jamie (Oliver), tea with Teresa (May) and rubbed shoulders with David (Beckham). Described by the NZ Herald as the Headmistress of Gen Z, 19 year old Alexia Hil will share insights from her leadership journey as the founder of Girlboss NZ - the school project which has become NZ's largest organisation for young women. 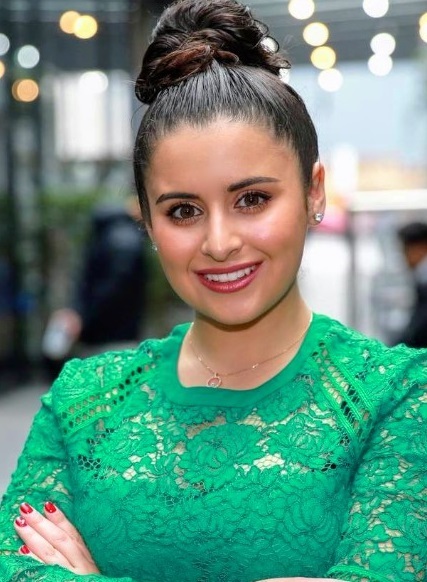 Through her jaw dropping, name dropping stories Alexia proves that you are never too young (or too short) to create change. Make no mistake, our team at police have some pretty lofty objectives. Our remit is to ensure police is equipped with the right frontline people, with the right skills, and in the right place. On our journey, we’ve progressively developed a contemporary, fit for purpose, internal recruitment function. We work collaboratively with a range of business partners, and together we strive to attract and select the right people, ensure our candidates have a positive experience regardless of outcome, and ensure police’s workforce increasingly reflects the communities it serves. We are really looking forward to sharing a bit about our journey with you, including how we’ve leveraged our leadership to achieve some phenomenal outcomes. Alexia is the founder and CEO of GirlBoss NZ - a 10,500 strong army of young women who are determined to achieve gender equality in their lifetimes. Dismayed by the under representation of women in leadership roles Alexia founded GirlBoss when she was just 16. Encouraging young women to embrace STEM (Science, Technology, Engineering and Maths), leadership and entrepreneurship, GirlBoss is now New Zealand’s largest organisation for young women. It’s members are shaking off the statistics and preparing themselves to take their seats at the table - the boardroom table that is. At 17, Alexia was the youngest person to lead a research project at the New Zealand Treasury - and at 18 - she was selected to seek new stars and planets on the NASA SOFIA mission. She was named the most influential young leader under the age of 25 at the Westpac Women of Influence awards and is the youngest ever recipient of the Queen’s Young Leader medal for services to the commonwealth. Alexia proves that you are never too young (or too short) to be an agitator for change. Jason Walker is the director of EQ3 Consulting and a recruitment veteran with over a quarter of a century of experience in the staffing industry. 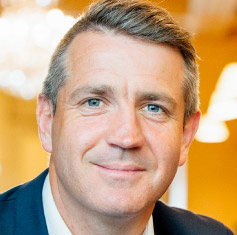 Leading and developing high performing teams, Jason has trained, coached and helped hundreds of consultants achieve recruitment success, many now directors of large international firms, others running their own successful recruitment businesses, and some enjoying fulfilling careers heading up internal recruitment functions. 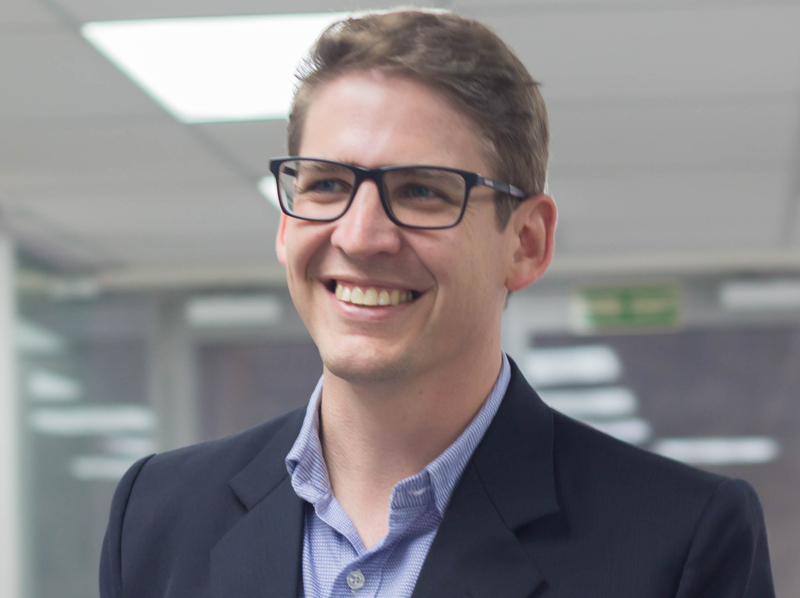 Jason built on his international experience to grow one of NZ’s most successful recruitment businesses, expanding operations in boom times and overcoming significant challenges during economic downturns. Jason is also a strong advocate for diversity, heading up and supporting initiatives as a CEO Champion for Change. Jason’s passion for the recruitment industry gave rise to EQ3 Consulting Ltd. EQ3 deliver training workshops, coaching, consultancy and governance. Jason’s purpose is to support the growth and professionalism of the recruitment industry, by using his expertise and EQ3 as a vehicle, to help develop the capability of individuals and leaders so that they can achieve better results in less time. Phil has a passion for people and development. 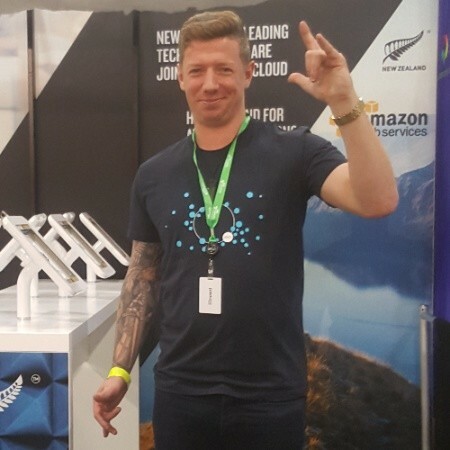 After 10 years in the recruitment world both in agency and internal positions, Phil's curiosity for human behavior and love of coaching landing him a role with Xero's Learning Experience team. He spends his days helping people develop their leadership skills, grow their career and feel safer and more confident in themselves. As Learning Experience Business Partner with Xero, Phil is at the coalface of Leadership and Learning challenges of modern-day workplaces where people, business and technology collide and are changing at a rapid pace. Since co-founding INSIDE Recruitment with Dale Gray in 2009, INSIDE has grown and so have I – I’m still loving recruitment and all the people I meet. As the Managing Partner, I am at the forefront of connecting people and account engagement, coupling this with people and the operational leadership of INSIDE. James is Chief Executive of Agoge, 2018 SARA Large Recruiter of the Year. Having started as a candidate manager at Agoge nearly 15 years ago James has been part of a significant repositioning of Agoge as a Social Business. Agoge’s vision of ‘People Matter ∴ Do Good’ means they are constantly working to engage their staff while investing in interest free loans to their people, New Zealand foodbanks and building wells in Cambodia through Good.Trust, a charity James and Andrew (Agoge’s MD) founded in 2008. For every week that an Agoge team member works, a person in Cambodia gets water for a month. 1 for 1. Katherine has been working within the Randstad group since 2011 and has extensive experience partnering with clients to develop of deliver recruitment strategies to ensure attraction, retention and development of their work forces across a variety of industry sectors and locations. 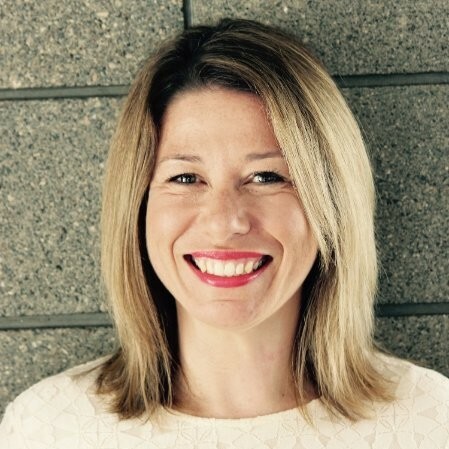 Katherine's career with Randstad started in Australia before relocating to New Zealand to be Country Director in 2017. Randstad New Zealand’s mission statement is “we believe that meaningful work changes people’s lives and provides a brighter future for all”, and Katherine is passionate about ensuring that this statement is lived through all experiences with the Randstad team and ensuring the Randstad team deliver exceptional recruitment and HR Services to clients and candidates alike. Pene is a human resources generalist leader. A coach and experienced people and culture mentor, she is passionate about building high growth, scaleable organisations, bringing with her experience working across the world with some of the fastest growing global startups whilst simultaneously running two of her own businesses. She is passionate about building strong organisational cultures designed for the future of work and leveraging innovations in technology, AI and automation to help organisations, their people practices and ultimately their people thrive. Pene has a focus on helping people practitioners learn practical skills that can be taken back into their organisations and put into practice straight away. 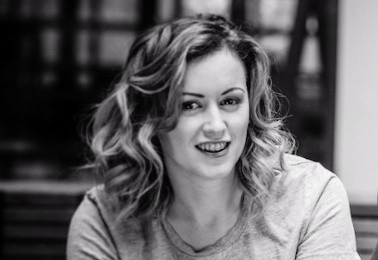 Emma is a global organisational development, employee experience and transformation strategist. As a certified coach and skilled facilitator, she supports her fellow people-practitioners by creating insights and building capability so they can challenge their organisations with fresh thinking. A Stanford Graduate School of Business alumni, Emma has learnt from some of the best HR thought leaders in Silicon Valley from companies such as Netflix, Uber, Adobe, Atlassian, Google and Zendesk. Emma shares their stories and case studies in the lab sessions as inspiration for ideation and creation of new possibilities. Emma is a passionate contributor to her professional community and is a trustee on the board of a not-for-profit youth trust. My passion for recruiting can be traced back to my pre- professional days. Representing the UK at the United Nations Junior forum even before I left school to later representing New Zealand via the Pacific Islands Secretariat, I’m an ardent advocate for the rights of others. I’ve been on a recruiting path right from the start - the reason? I am excited about how people, with the right support and guidance, can transform their lives, and effect positive change for their family / whenu, and sometimes into the greater community. With a career spanning 4 countries - from Contact Centres set up and staffing, RPO’s, managing Fortune 500 recruitment consultancies, to employment rights in the Pacific. At NZPolice, I lead a team of recruiters who deliver NewCops to the frontline across 3 Auckland Police districts, a hugely rewarding and complex position. Outside the office I’m passionate about travel, new adventures and languages, and if there’s a trivia night – please invite me! I have a bit of an affinity with police having worked here on three separate occasions! My latest stint began in mid-2013 when I returned to police as the Recruitment Manager, Lower North/South Island region moving into my current role as National Manager Constabulary Recruitment about five years ago. From Advisor to Leader, I’ve held various roles in the Talent Acquisition arena over the last 20 years. I feel privileged to have had the opportunity to immerse myself in, and add value to, organisations such as Accenture, Ministry of Education, ANZ, Westpac, and Statistics NZ.